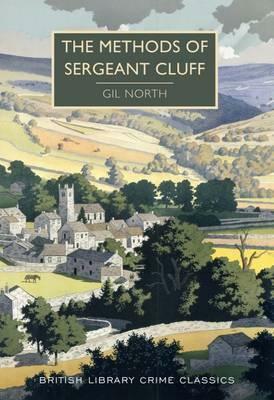 After battling for justice, at great personal risk, in his first recorded case, Sergeant Caleb Cluff made a swift return to duty in this book. The story opens one wet and windy night, with the discovery of a young woman's corpse, lying face down on the cobblestones of a passageway in the Yorkshire town of Gunnarshaw. The deceased is Jane Trundle, an attractive girl who worked as an assistant in a chemist's shop. She yearned for the good life, and Cluff finds more money in her handbag than she would have earned in wages.There are echoes of Sherlock Holmes ('You know my methods, Watson') in the title, and in an exchange in the first chapter between Cluff and Superintendent Patterson, but Cluff is very much his own man. Little that goes on in and around the mean streets of Gunnarshaw escapes him. He is scornful of detectives who rely solely on supposed facts: 'More than facts were in question here, the intangible, invisible passions of human beings.' Understanding those passions leads him gradually towards the truth about Jane's murder.